Here's what Zemmy and I got this week. The past two weeks were kind of the worst and the best weeks of my life. The worst, because dad lost his job. The best, because my grades at school went higher (i studied so much! ), the play I have a major role had it's premiere (and 2 and 3 showing, so it was a great success). 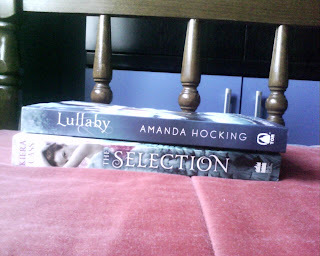 When it comes to books, I got two awesome ones!!!! Thanks to Macmillan UK and HarperCollins for the books! I CAN'T WAIT TO READ THEM!!!!! Link us in the comments, what did you get this week? Awesome haul of books. 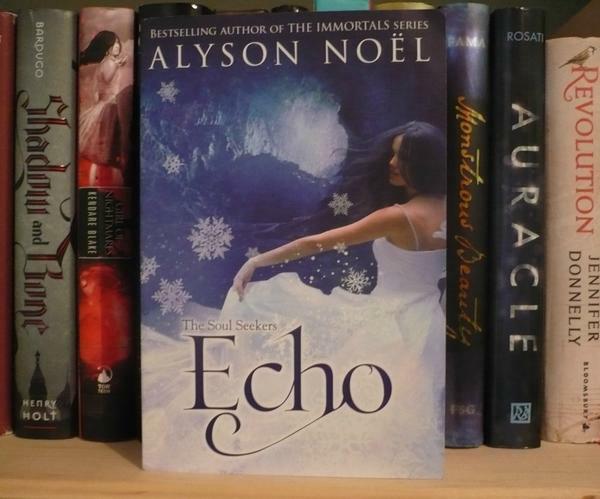 The Selection was one of the books I enjoyed a lot more than I thought I would. Thanks for visiting me earlier. Sorry you had a bad week! Your books look great though. Hope they cheer you up! I really want Selection, it's been on my wishlist forever. I always get something else instead. 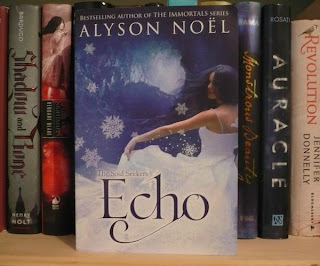 Echo looks interesting as well. I've just read The Selection at the start of December and I thought it was a very realistic and entertaining depiction! :D Hope you'll like it and have a great year ahead, reading of course! Awesome haul! I still need to get my hands on Lullaby and Echo, but The Selection was pretty good! Hope you enjoy all that you got! Happy New Year and happy reading! LOOOOVE The Selection!! I hope you enjoy it, it is a really fun read with a good amount of depth, too. Great haul! I've been wanting to read the selection for what feels like forever now *sigh* I hope you enjoy it! Thanks for stopping by my post, and happy new year to you too! Great books!! I know a lot of people who loved The Selection. I have Lullaby and still have to read it. I loved Wake though so I am looking forward to it. This looks like a great haul. I've heard mixed thoughts on Selection, but hopefully you'll enjoy it! Thanks for stopping by my blog! I've heard mixed reviews on The Selection, so I hope you like it! Also, rumours that it's going to be a TV show at some point too? Sorry to hear about your dad, but congrats on your grades! Studying really pays off! Thanks for stopping by my blog! Hope 2013 is even better for you!